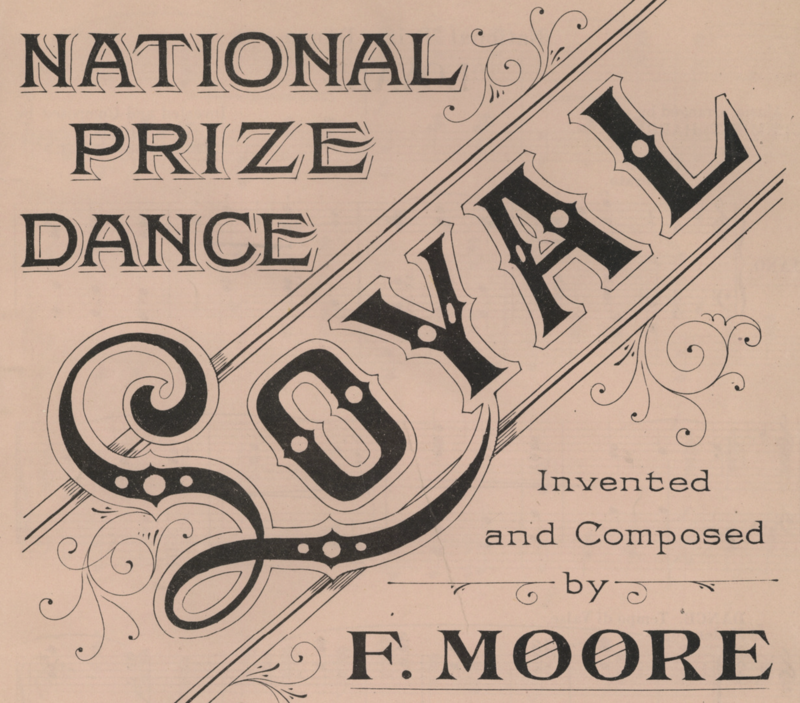 This is an early English sequence waltz composed by F. Moore in 1915. Part I - Promenade and Point (4 bars): Promenade six quick steps along LOD (1, 2, 3, 4, 5, 6), then step forward with outside foot (1) and point inside foot along LOD (4). Part II - Glide, Cross, and Point (4 bars): Chassé twice against LOD with inside foot: side, close, side, close halfway up (1, 3, 4, 6). Then cross inside foot through along LOD (1), and point outside foot along LOD (4). Part III - Slow March (4 bars): Promenade four slow steps along LOD (1, 4, 1, 4), turning to face partner on the fourth step. Part IV - Waltz (4 bars): Two full turns of rotary waltz (1, 2, 3, 4, 5, 6 / 1, 2, 3, 4, 5, 6). There's an eponymous tune composed specifically for the dance by Clement Harris, but any square, early 20th century waltz will work nicely. F. Moore. (1915). 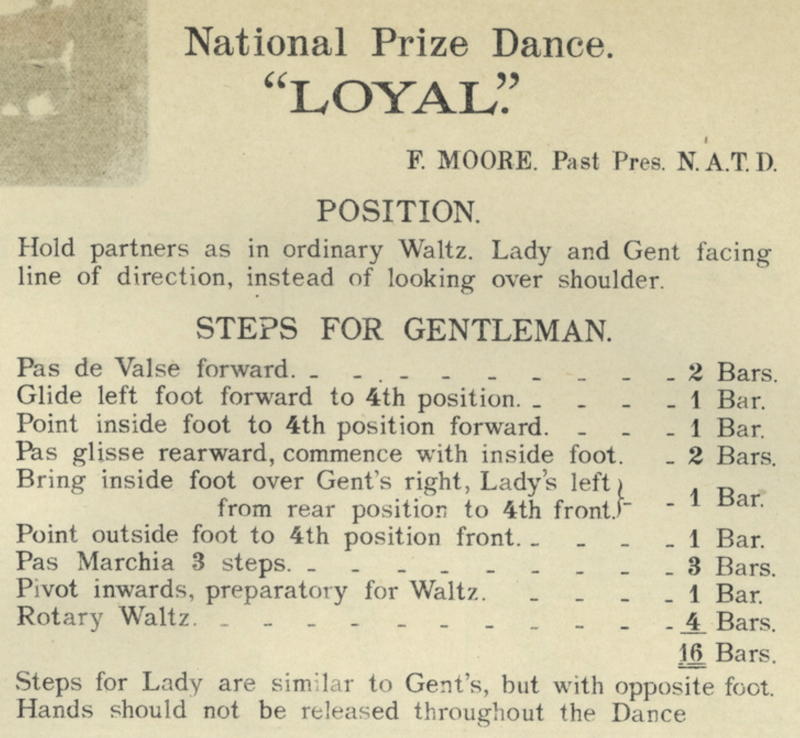 Loyal, National Prize Dance. London.